Once your tree has started to give out for the season, you can turn it into mulch for your yard. By cutting up the branches with whatever tool you have on hand, you can save yourself time and money going to a store instead for your mulch. Winter can be rough on your plant-life in a garden or yard, and by turning your old tree into mulch, you can help fight winter injury. As we’ve all experienced before, winters can be brutally cold at times, but if you had a live Christmas tree for the holidays, you can fight the cold a little more by using your tree as firewood. 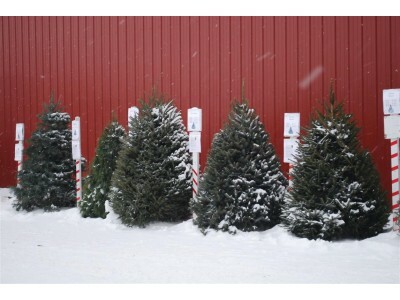 Whether it’s a night spent around a bonfire with your family gazing at the winter sky or staying bundled up inside with a fire going, the trees from Christmas Farms will help you stay comfortable this winter. The wood from your live Christmas tree can be harvested after you’re done using it and be repurposed into a variety of things. Whether it’s lining your outdoor areas with cross-sections of the tree, branches used to provide ambiance to a fish tank, or art work made from needles, the parts of your tree can bring a new look to your home. Premium Wreaths by Christmas Farms is the go-to place for all live decorations during winter months. With a large selection of trees, wreaths, greens, and more, we’re sure to have what you’re looking for.